Plastic Primer PR20 Plastic primer is a clear coloured primer for polyolefins “oil-like plastics”. These include difficult plastics to bond too such as polypropylene, polycarbonate, polyethylene, ABS. 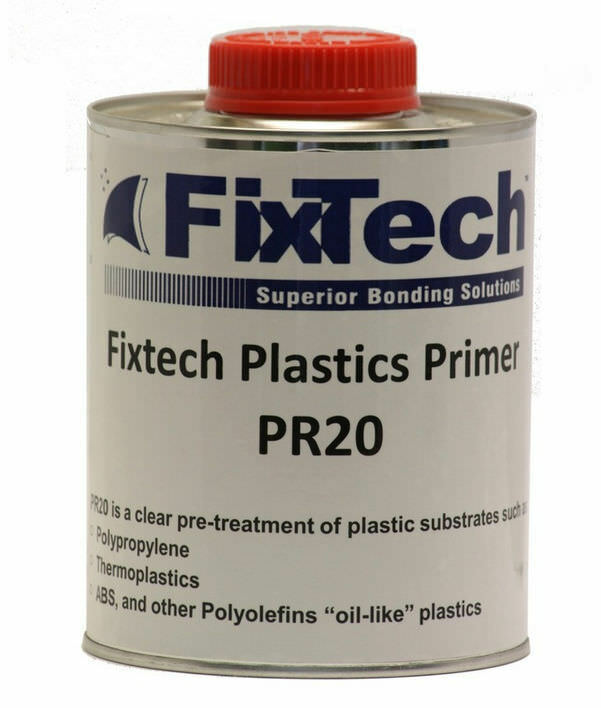 The PR20 is ideal to us on all plastic parts to provide superior adhesion even on sensitive plastics.